Steve Marti (University of Delaware) writes about the experience of Irish and Scottish battalions in dominion expeditionary forces and the impact of World War One on the identities of those involved. In December 1915, Reverend J.S. MacPherson of Morphett Vale, South Australia, wrote to the State War Council proposing to raise battalions for the Australian Imperial Force (AIF) “representing the National Societies, such as the Caledonian, Hibernian, Welsh and Cornish.” A little over one year into the First World War, voluntary enlistments were tapering off in Australia and Canada. In both dominions, the leading members of Irish and Scottish cultural societies promised to deliver more recruits, so long as they could raise a distinct Scottish or Irish battalion to fight as part of their dominion’s expeditionary forces. These offers rested on the assumption that volunteers would be more forthcoming if they could enlist with a unit that reflected their cultural community. The formation of such units also assumed that these Old World identities could be easily reconciled with the rising nationalism of the dominions. Canada’s Minster of Militia, Sir Sam Hughes, embraced this model of community-driven mobilization. Beginning in late 1915, Sir Sam authorized a spate of new battalions to draw recruits into the Canadian Expeditionary Force (CEF). Dozens of Scottish battalions were authorized, as well as a handful of Irish battalions, and there was almost no end to this devolution of the recruiting effort. Donald Maclean, a local politician from Saskatoon, argued for the formation of an Irish battalion in his province because “there has been authorised a Highland Battalion, Scandinavian Battalion, Methodist Battalion, Orangemens Battalion, Sportsmens Battalion, University Battalion, etc, etc, … No Irish Regiment has been raised in Saskatchewan and the Irish [are] due as much consideration as the other Battalions named.” Maclean’s argument revealed the logic behind mobilizing battalions that acknowledged a community’s distinct contribution to the national and imperial war efforts. 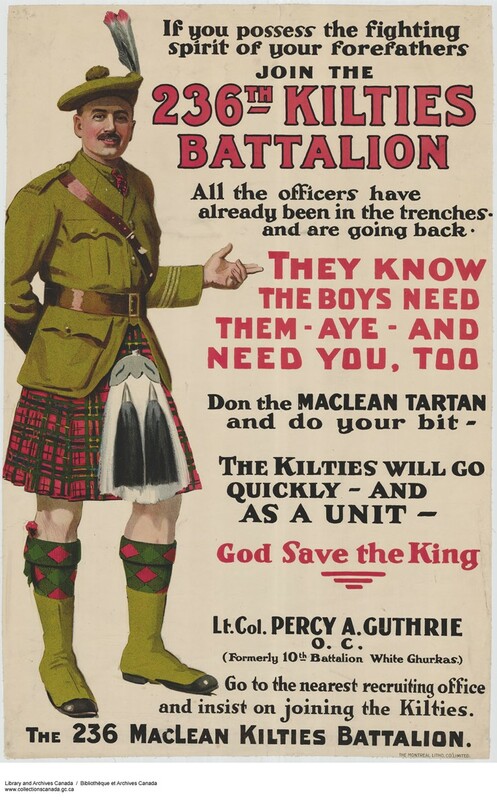 Figure 1: “Join the 236th Kilties Battalion: recruitment campaign,” Acc. No. 1983-28-846, Library and Archives Canada. 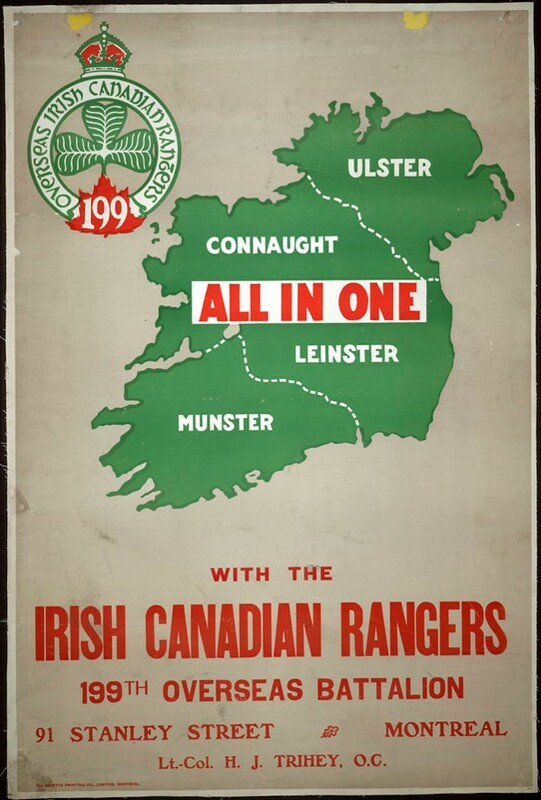 Figure 2: “All in One with the Irish Canadian Rangers 199th Overseas Battalion: recruitment campaign,” Acc. No. 1983-28-888, Library and Archives Canada. Given the intensity of pro-war rhetoric in Canada, which vilified passivity as treasonous, even Irish Catholics with nationalist sympathies did their best to put these sentiments aside to support the national and imperial war effort. Irish Catholic parishes in Toronto and Montreal hosted recruiting rallies, organized female parishioners into knitting circles, and billeted soldiers on Church property. These acts of Irish-Canadian loyalism were touted in Ireland in the aftermath of the Easter Rising. The 199th (Duchess of Connaught’s Own Irish Canadian Rangers) Battalion attended Catholic services in Dublin and Armagh on their way to training camps in England, as a demonstration of Irish-Canadian loyalty to Britain. Catholic recruits constituted over 40% of the 208th (Irish Canadian) Battalion, yet the unit deposited their colours at Belfast Cathedral on its way to France. These demonstrations of Scottish and Irish support for the war effort, however, went almost entirely unrequited. Sir Sam’s faith in locally-raised units created nearly twice as many battalions as the CEF could sustain in the field. Every Irish battalion in the CEF was broken-up on arrival to England to reinforce units already fighting in France. All but a handful of Scottish units were likewise disbanded. The formation of these units allowed Scottish and Irish communities in Canada to turn their cultural displays of kilted garb and Celtic music into acts of civic patriotism, but these units were authorized the serve the needs of the Canadian and imperial war effort and most were disbanded before they could distinguish themselves in battle. 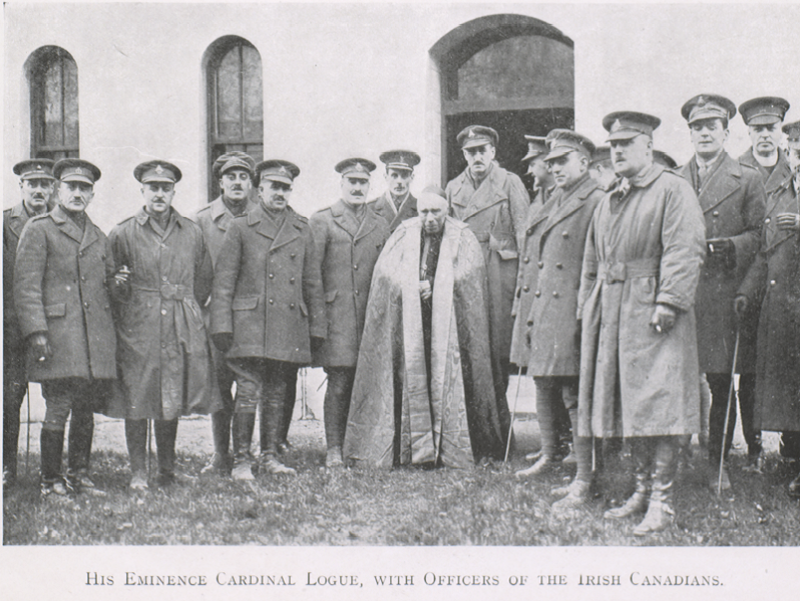 Figure 3: “His Eminence Cardinal Logue, with Officers of the Irish Canadians,” Canada to Ireland, (London: T. Fisher Unwin Ltd, 1917), 11. 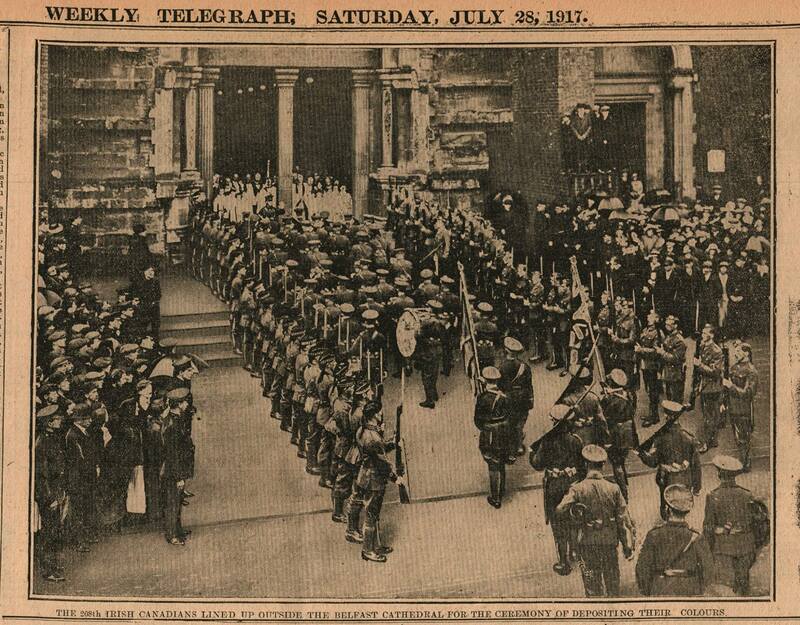 Figure 4: “The 208th Irish Canadians lined up outside the Belfast Cathedral for the ceremony of depositing their colours, Weekly Telegraph, 28 July 1917. The tradition of Scottish and Irish regiments in the armed forces in Australia did not encourage the Commonwealth government to attract recruits by cultivating national sentiment among British diaspora. Scottish and Irish societies nevertheless attempted to raise their own units for overseas service. An article in the Newcastle Morning Herald argued that the formation of a distinctly Scottish battalion would attract recruits that were “wishing to preserve the traditions of the country from which their forebears sprung.” The Brisbane Caledonian Society met to discuss their support for a Scottish unit in the AIF and hosted a lecture by Corporal Piper J. Barnett of the 85th (Nova Scotia Highlanders) Battalion, CEF who recalled that every member of his unit signed a petition demanding the adoption of a kilt as part of their uniform. Despite Archbishop Daniel Mannix’s role in leading Irish opposition against conscription, Irish Australians broadly supported the Australian war effort. Russell Motherell of South Australia petitioned the Governor General for the formation of an Irish battalion and included drawings of shamrock facings to be worn by the unit. Australian military authorities, however, were sceptical that these appeals to Scottish or Irish nationalism would attract recruits. Figure 5: Portrait of Sergeants and officers, 52nd Regiment, Citizen Military Forces. 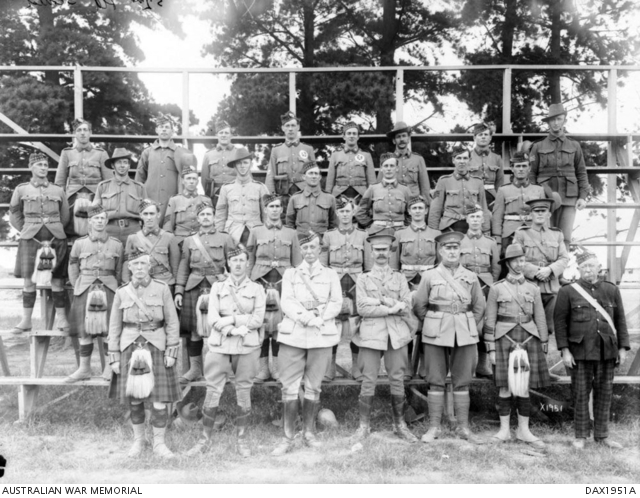 Volunteers from the 52nd Regiment were mobilized into the 5th Battalion, AIF in 1914. DAX1951A, Australian War Memorial. More importantly, senior Australian officers were concerned that raising Scottish or Irish battalions worked against the nationalizing effect of the AIF. Major-General Cyril Brudenell White, chief-of-staff of the AIF rejected kilted units, arguing that “[t]he fame of the AIF has been made by the Australian soldier as a man distinctly Australian.” Major-General John Monash, commander of the Australian Corps, argued that a kilted unit would “trespass upon the solidarity of the AIF.”  Even though recruitment plummeted to its lowest point of the war in 1918, the formation of a kilted battalion was rejected by the AIF’s commanders in France, who felt most keenly the need for reinforcements. More important than attracting recruits was the collective identity of the AIF and the cultivation of an Australian national identity. Attempts to raise distinct Scottish or Irish battalions for the Australian and Canadian expeditionary forces provide a brief insight into the politics of identity among diasporic communities in the dominions. Sectarian divisions, particularly surrounding the question of Home Rule, were set aside as Irish or Scottish communities reconciled their status as both members of a diaspora and residents of British settler societies, whose continuing reliance on migration from all parts of the United Kingdom necessitated a synthesized British identity and a strong connection to Britain and the empire. Requests to raise culturally-distinct battalions were received by military authorities in the dominions who balanced the potential recruiting power of old world against the desire to forge new national identities. The paradoxical success of proposed Scottish and Irish battalions in demonstrates how expressions of identity fit into the larger concentric categories of the nation and empire. While Irish and Scottish communities in Australian and Canada contributed willingly to the war effort, their ability to project a communal identity through their contributions were tempered by the nascent nationalism of the dominions and the needs of the war effort. Letter from Thomas Trumble to V.H. Ryan, 22 December 1915. GRG32/1/00001, File No. 428 Formation of National Battalions, Suggestion. State Records of South Australia. Letter from Donald McLean to LCol N.S. Edgar, 19 May 1916. RG 24. Vol 4679. 18-2-1. Proposed Organziation of an Irish Regiment in Overseas Service. Library and Archives Canada. Mark McGowan, The Waning of the Green: Catholics, the Irish, and Identity in Toronto, 1887-1922, (Montreal: McGill-Queen’s University Press, 1999), 272. Mark McGowan, “Between King, Kaiser, and Canada: Irish Catholics in Canada and the Great War, 1914-1918,” in Irish Nationalism in Canada, ed., David A. Wilson, (Montreal: McGill-Queen’s University Press, 2009), 112. “The Scottish Brigade,” Newcastle Morning Herald and Miners’ Advocate, 13 May 1918, 4. “Proposed Scottish Brigade,” Brisbane Courier, 14 Jun 1918, 8. Jeff Kilda, Anzacs and Ireland, (Cork: Cork University Press, 2007). Governor General. A11803. Governor Generals correspondence relating to the war of 1914-1918. 1918/89/973. Irish Battalions – Suggestion by R Motherell. National Archives of Australia. Charles Edwin Woodrow Bean, Official History of Australia in the War of 1914–1918: The A.I.F in France, May 1918 – the Armistice. Vol.6, 1st Ed., (Sydney: Angus & Roberts, 1942), 461; See also, Joan Beaumont, Broken Nation: Australians in the Great War, (Crows Nest: Allen & Unwin, 2013), 421. John Darwin, The Empire Project: The Rise and Fall of a British World System, 1830-1970, (Cambridge: Cambridge University Press, 2009), 177-179. This entry was posted in 20th century, British army, Conscription, First World War, Ireland, Migration, Scotland, War and tagged Australia, Canada, Diaspora, Imperial history, Ireland, Military history, Scotland, WW1. Bookmark the permalink.